We are slightly obsessed with play dough here. 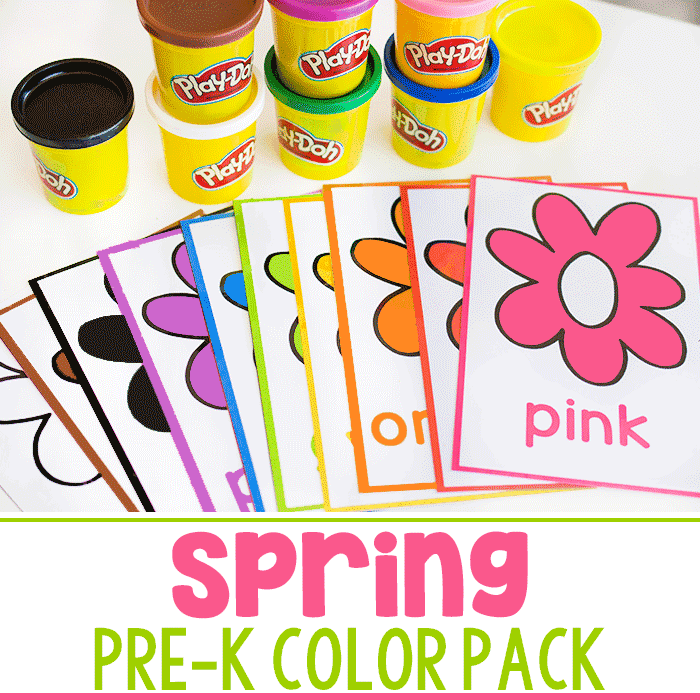 I made six different colors last week just because we wanted some fresh dough to play with. 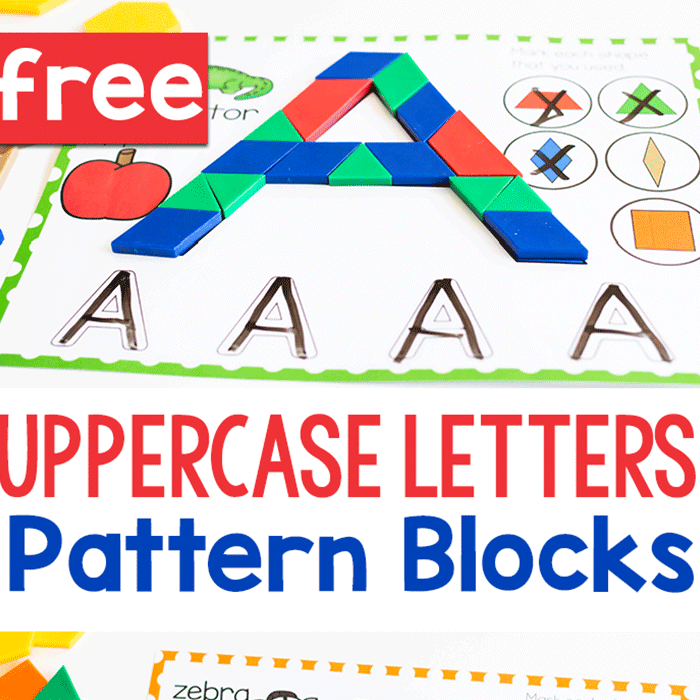 I love that it works so well for learning so many different things! 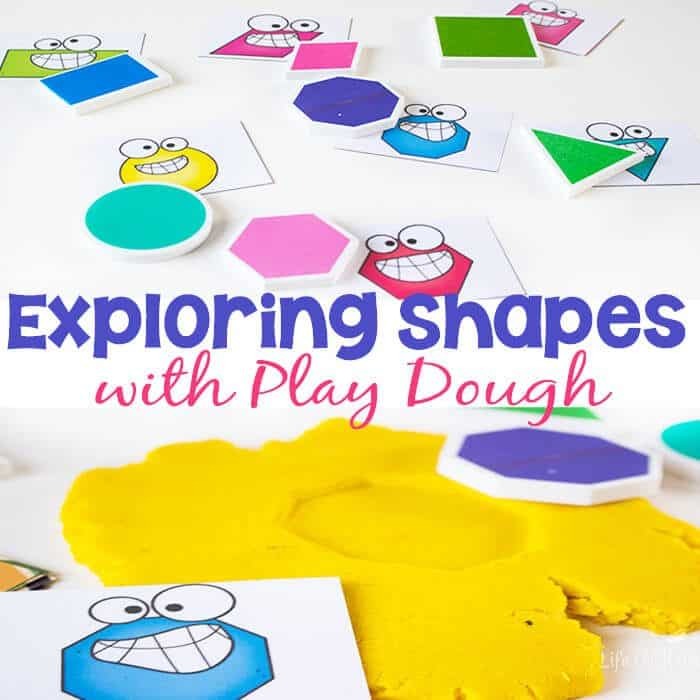 Today we had fun exploring shapes with play dough for the #ToolsforLearning Challenge. 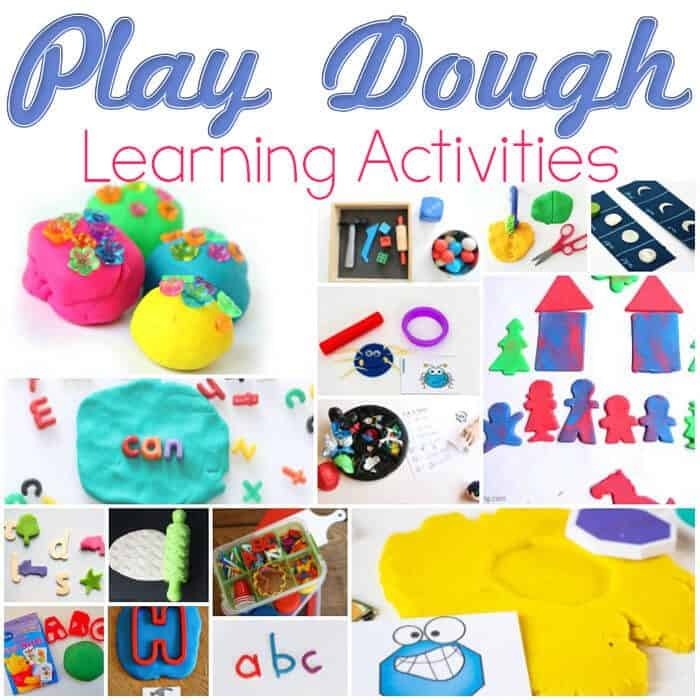 Join us on Instagram and share your favorite play dough learning activities with the hashtag #toolsforlearning. This is an incredibly simple activity. Just like all of our activities. Let’s just say that I have been insanely busy lately and if an activity takes more than 2 minutes to set up, it hasn’t been making the cut. 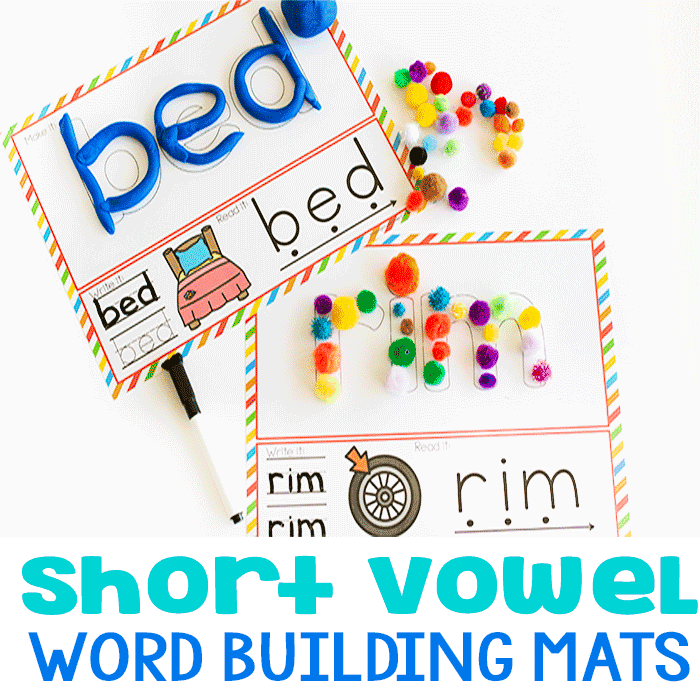 We already had the shape cards printed and prepped from the Silly Shapes Matching Game, so I just grabbed a set (there are picture only or picture-word cards) along with the foam shapes that we picked up at the dollar spot at the beginning of the school year. If you don’t have matching foam shapes you could cut shapes out of cardboard as a substitute. To make it extra fun, we mixed up the cards and then put them face-down on the desk. Jaida, my 8-year-old selected a card from the top of the pile. 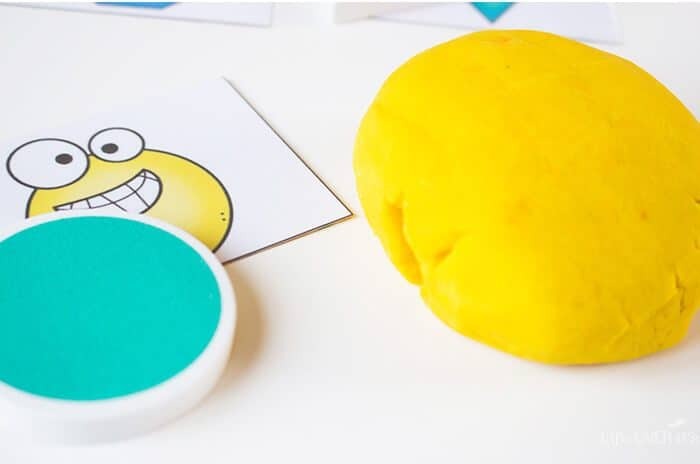 Then, she found the matching foam shape and placed it on the play dough. Then, she used the rolling pin to press it into the play dough. She’s really needed some work on her arm muscles and fine-motor skills, so this was a sneaky way of getting her to do that. I wondered if the activity would be boring to her since she’s in 2nd grade, but she had a lot of fun with it! I think the silly faces on the shape cards got her excited about learning! Download the Silly Shape Matching Cards here. 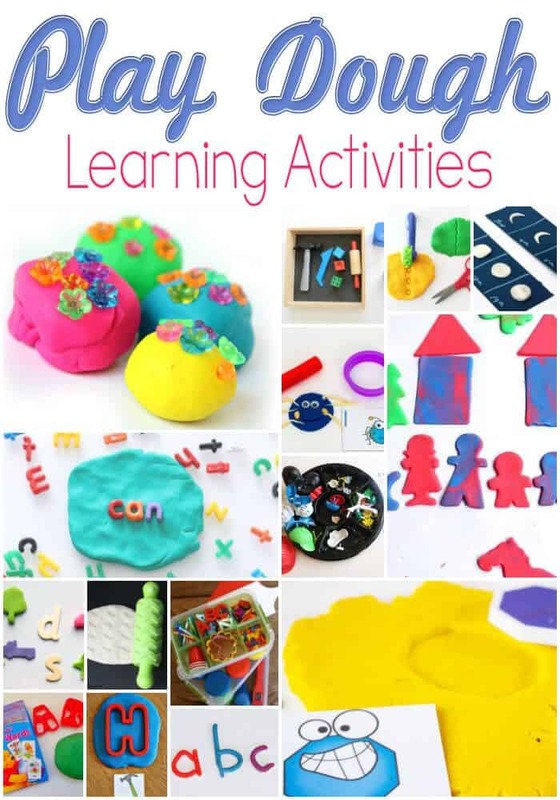 We have so many great play dough learning activities with the #ToolsforLearning challenge this week!! 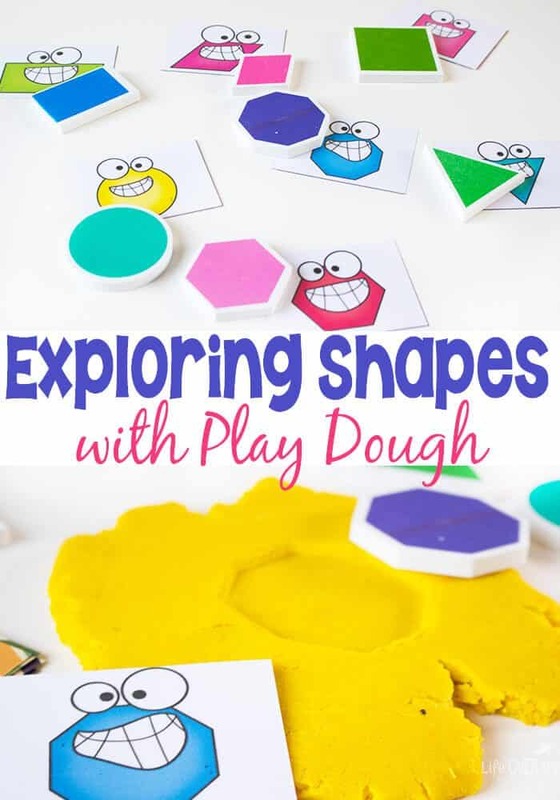 Those shapes are adorable and make a great time for learning about shapes! Thanx!